Emergency lights must be inspected and tested every 6 months (AS 2293:2:1995) if the light is for Australia market or New Zealand market. Any Emergency Evacuation lighting system shall be inspected and maintained in accordance to procedures specified in AS / NZS 2293:2:1995. Inspection and testing procedures shall be carried out at intervals of not greater than six months. A check should be made to ensure that no interruption to the normal supply has taken place for a period of at least 16 hours prior to conducting a discharge test. Complete and / or verify accuracy of new or existing asset register / log book and enter all relevant and required details. Check and complete visual inspection of all existing equipment to ascertain that charge circuits, indicators and fluorescent tubes and bulbs are functioning correctly and free from defects to ensure accurate test results. Operate the luminaries from their battery supply by simulating a power failure from local electrical distribution board. All luminaries shall remain illuminated for not less than the required in service duration (90 minutes minimum for existing systems). All repairs will be repaired if you require. Restore system to normal mains operation cycle upon completely discharging the system and enter test results in. Insure all existing Luminaries are on standby mode. Clean light emitting surfaces and light diffusers as required. 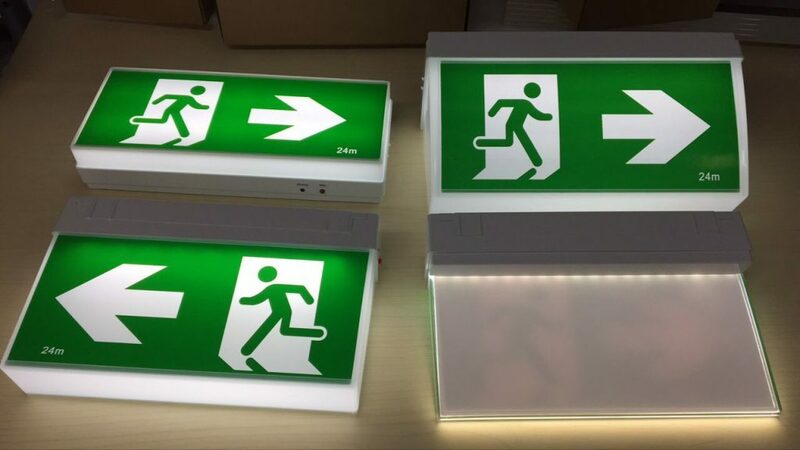 If need more other information,you can inquiry from China emergency exit lighting manufacturers Sunwindled. 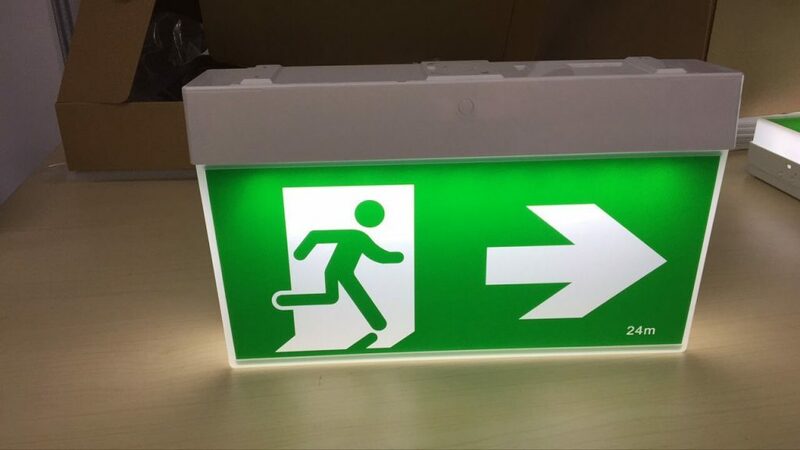 All commercial and industrial establishments need Exit light & Emergency Lighting installations. These signs & lighting systems serve the vital purpose of assisting people out of that property in the event of any type of emergency situation. While this may seem like a simple enough installation, the job is a specialised one. The light fixtures have to be reliable and well-illuminated to help the occupants of the building recognize them, and then head towards the exits without any delay, in case an emergency situation arises. When there are any unexpected calamities/problems, it’s important to have a solid back-up plan in place- it’s the one way to save precious lives. Sunwindled is a company with extensive experience in the field and we are very well versed with all the rules & regulations that have to be followed while handling installation of Exit light & Emergency Lighting. When we handle this job, we very meticulously follow all the legal requirements stated in the AS2293 and The Building Code of Australia. We adopt a highly customer-oriented and qualified approach to provide precise & safe emergency & exit lighting. Our experts will provide consultation about how these systems have to be installed to be in line with the existing regulations. The only way you can ensure that the emergency and exit lights are functioning properly in buildings such as offices, malls, schools and hospitals or any other private structures, is that they be regularly evaluated and tested. While these light installations are rarely ever used, it is crucial that they be maintained well. It’s only when they function well and are easily visible & accessible, that they will serve their purpose in case of any emergency situation. 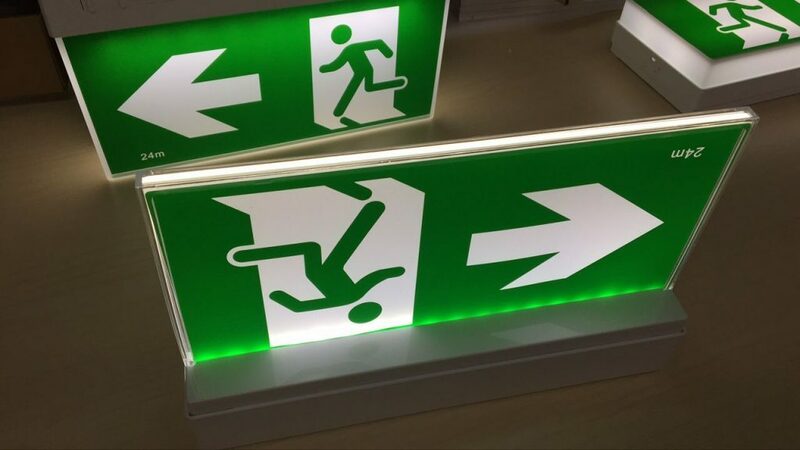 Exit light & Emergency lighting is comprised of lights, illuminated exit signs and combination exit sign and lighting units. These have their own power supply which allows them to mark the way out of a building in an emergency. 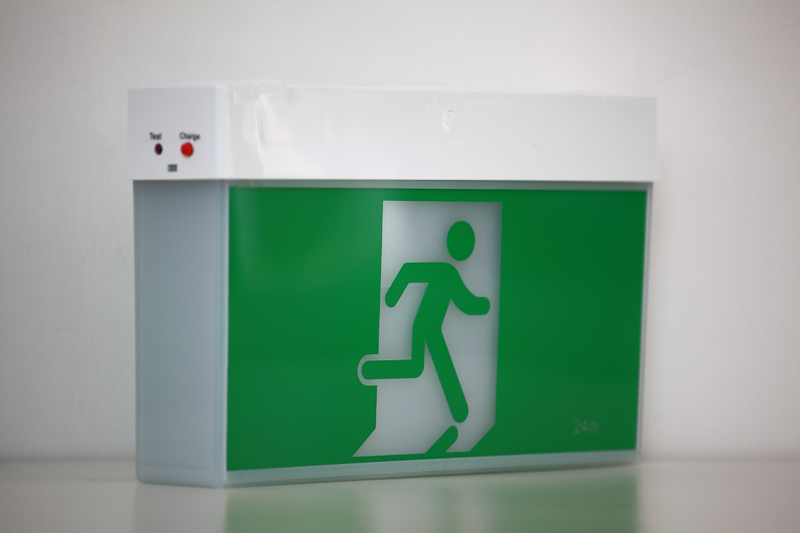 Like fire extinguishers, emergency lighting is required to be mains power tested in accordance with Australian Standard 2293 for 90 minutes on battery back up every six months. If exit lights are not regularly tested on battery backup the battery packs and circuitry constantly receive a charge and never get the chance to be used and therefore overheat and failed in much the same way your car battery or cordless drill would if treated in the same manner. 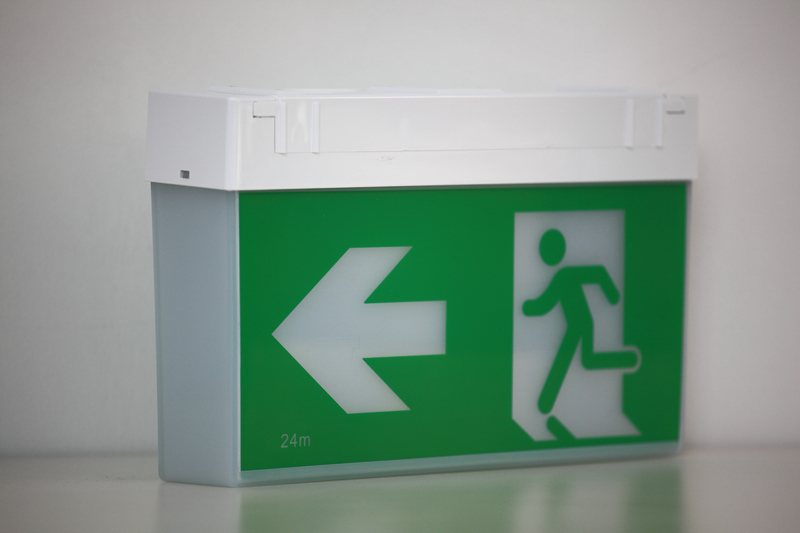 Sunwindled Fire & Safety supply, install maintain exit and emergency lighting. We also carry an extensive selection of batteries, bulbs and replacement parts to keep your equipment working properly. 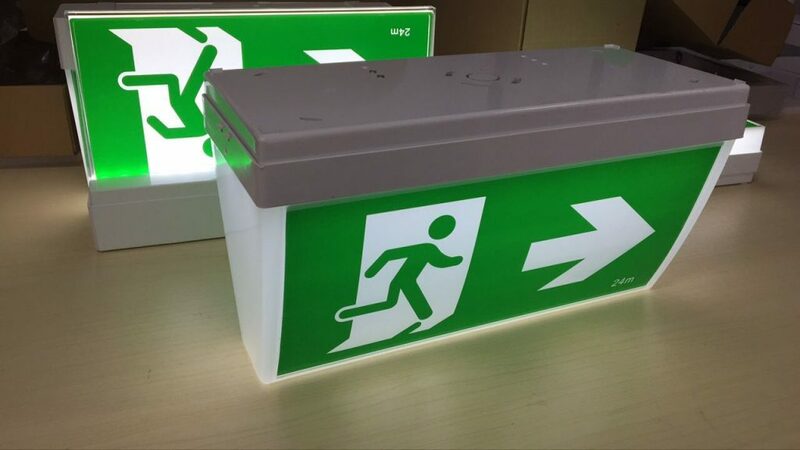 Exit light and emergency lighting are light fittings that have in-built batteries that are able to illuminate the light fitting for up to 90-minutes in the event of a complete mains power failure. 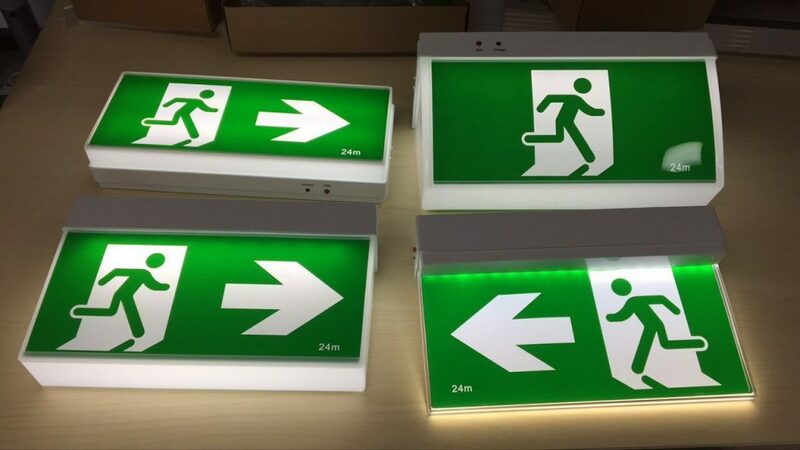 There are many different types of exit light and emergency lighting fittings available from many different manufacturers with lights ranging from neat discrete type that are suitable for hotels, motels and offices to larger size tube type and flood-light type for warehouses and factories. 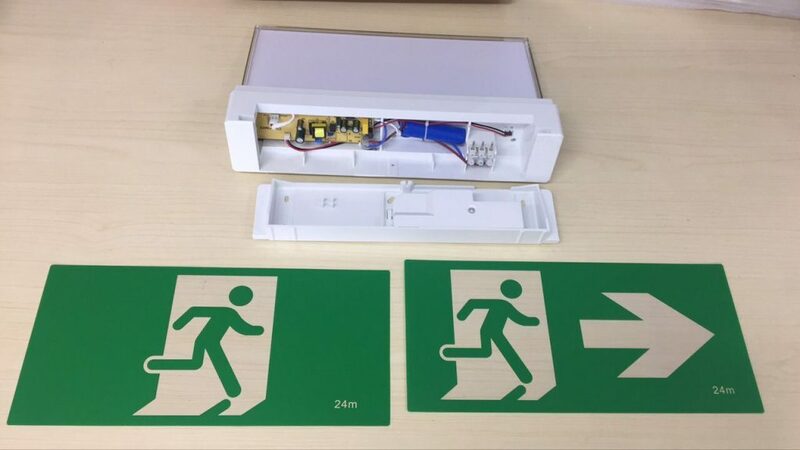 Exit and emergency light systems are installed to provide a safe means of escape for personnel in buildings where there may be an interruption to artificial lighting where they may be working at night time or in areas that natural lighting is not available. They are available as either single point units that have their own in-built battery or central systems that utilise a common battery bank. Exit light fittings are, in most cases placed above nominated exits which are doors that lead to the outside of a building. Once outside of the building at a nominated exit this location must be able to provide the person with a clear escape from the building and not to a fully enclosed yard. Exit lights are sometimes installed at locations where a passageway changes direction or in large offices where there are more than one door. Exit lights must be illuminated at all times 24 hours 7 days per week. Personal access doors are nominated exits – roller doors are not. Stairwells must be provided with emergency lighting so that in the event of a complete mains power failure the stair treads are illuminated to prevent trips and slips. Toilets and areas with floors that are likely to become wet, in particular areas where natural light is not available, should be provided with emergency lighting. Workshops, garages and any work areas in which personnel are likely to be working at night time or if natural lighting is not available should be provided with emergency lighting to prevent trips and slips. 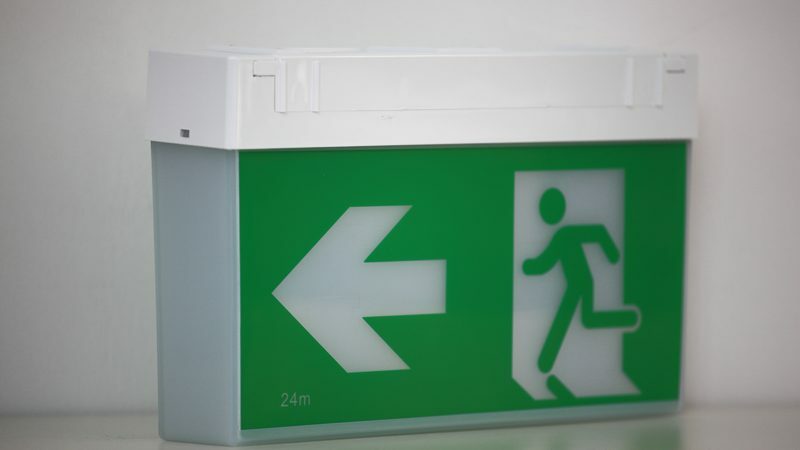 Exit and emergency lighting should be regularly inspected and tested in accordance with Australian Standard 2293.3. These services should be provided every 6-months. 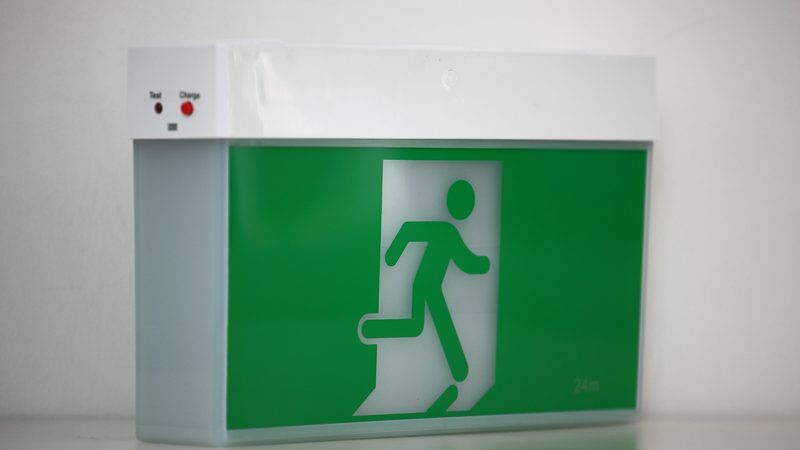 We are able to provide a survey of properties and make recommendations for the correct location of exit and emergency lighting and provide correct scheduled service to existing systems and prepare exit and emergency lighting registers. This is ABS Material emergency spitfire with Saa certification,for the Australia market or New Zealand market.it is release by China exit light manufacturers sunwind factory. This is the new SAA certification led exit light,ceiling mount,for Australia market,It is designed by sunwind exit sign manufacturers,with his own mold and test report by SAA. The installation height of the emergency exit sign light, indicating that the marking emergency exit sign light should be installed on the wall a meters below, the exit sign shall be installed at the top of the door frame at the exit. Fire-fighting channel refers to the fire personnel to carry out rescue and trapped personnel evacuation channels. For example, there are fire-fighting lights on staircases and corridors. The function of fire-fighting channel plays an important role in all kinds of dangerous situations, so we cannot despise the fire channel. this ist Heiko from german lighting company esc GmbH. 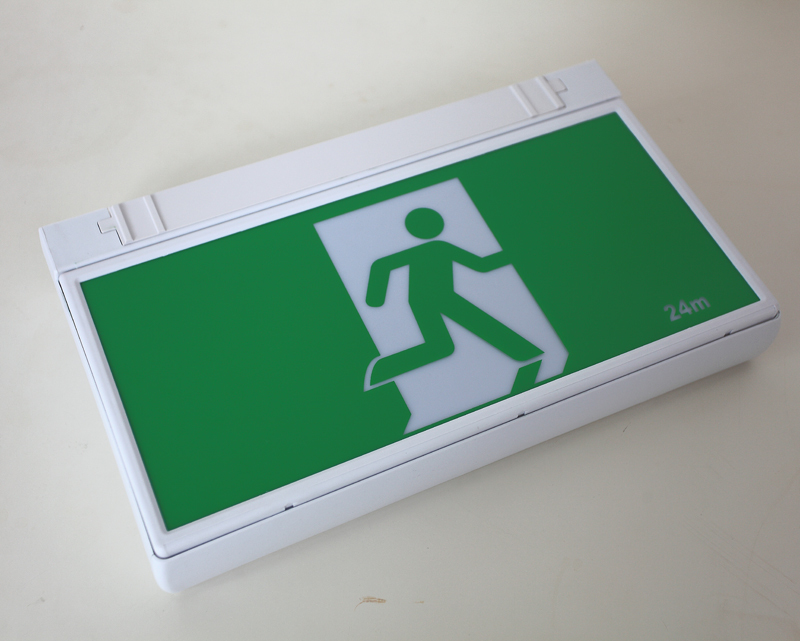 We are interested in your Module LED exit light sign 6W. So can you send me a B2B-Price, datasheet and High Quality product pictures please. Then we can offer to our customers. that sounds very interesting of exit light sign. Do you have a price list for me and Datasheet for your latest model? Some High Quality Product Pictures. So can you also send me please? I found you offer only 3 years warranty for exit light sign. But we normally offer to our customers 5 years warranty. So can you also give 5 years warranty. What would be price for this? Are you a wholesaler or distributor? Do you want to connect with a brand that has won the hearts of many due to its top line functionality? Do you want your buyers to enjoy the glow and beauty of an amazing led exit lights that can last for many seasons? If you answered YES to any of these questions, then we have interesting news to share with you. This exquisite led exit lights brings the touch of class, beauty, and finesse to your world. 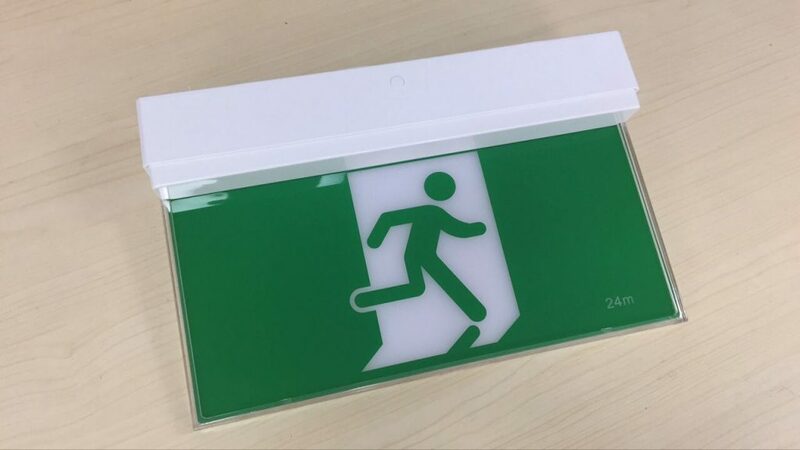 It is ideal to help your buyers enjoy the choice features of a hanging exit sign, wall mounted exit sign and ceiling exit sign. This is the best way to keep space glowing with a unique product that holds the ace in every range. It is a must-have for the savvy individual. It has the precise touch that gives that durable and amazing experience that only this exit light can give. It is simply a master class! Do get in touch with us today! The customer has installed 22 of these exits, and non of them have problem. After a few seconds, the led light on the exit board will begin to flash, every few seconds.